While seed catalogs promote thousands of types of plants, seed packets tell gardeners how to grow one. All the information is printed on the back of a paper pouch slightly larger than the size of your wallet, and at prices that won’t empty it. 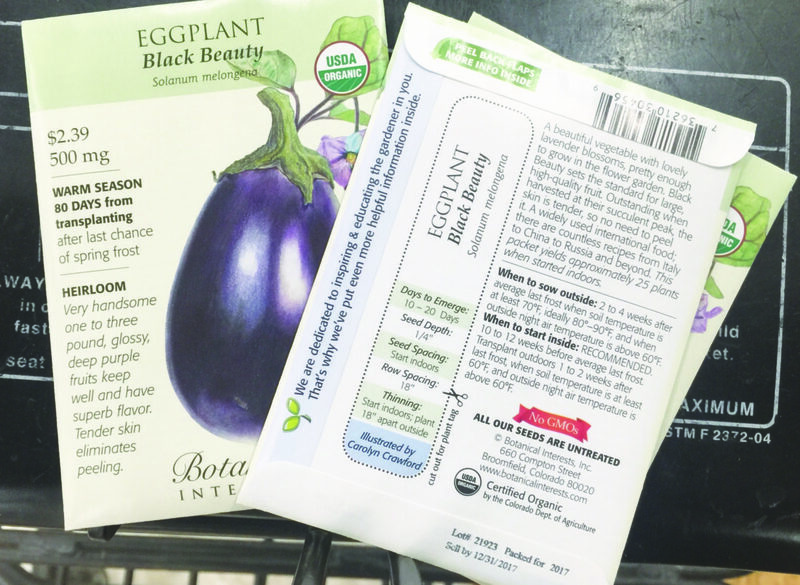 Although the cost of seeds has risen over the past few years, they’re still an economical way to garden, said Elsa Sanchez, a commercial vegetable crops specialist at Penn State University Extension. Seed packages have been a gardening staple in the United States for well over a century, although their look is frequently changed. W. Atlee Burpee & Co., for example, has begun shipping re-designed packets for the 2018 growing season. “We made the picture (of the plant) virtually the entire front of the packet, so there’s a very strong shout-out of what it is,” said Burpee Chairman and Chief Executive Officer George Ball. “We have just a few things on the front — the name, price and weight, such as we need to have. Company founder Washington Atlee Burpee used to call seed packets his “silent salesmen,” Ball said. “It’s important that the seed packets be seen from 15 feet for in-store sales rather than 15 inches for a catalog. So we go for a more varnished look to make a good first impression,” he said. ≤ Days to seed germination and maturity. Expect those to vary somewhat, though, based on sun exposure, soil temperature, fertility and moisture. ≤ Plant profile and size: whether it’s a hybrid, open pollinated or an heirloom, an annual, biennial or perennial. ≤ Planting instructions, including seed spacing and soil depth, light conditions and moisture requirements. Then there’s the bonus information available through “QR” or quick-response coding, those usually square, artistic designs appearing more frequently on the flip side of seed packets. Download a free QR code reader app into your smart phone or tablet so you can read links and find information online. “You can use smart phones to scan QR readers for a great many plant-particular details — information that just wouldn’t fit on the back of seed packets,” Sanchez said. “It is a good idea to hang onto the seed packages after sowing as references for future care and harvesting,” she added.